The biological race debate is at an impasse. Issues surrounding hereditarianism aside, there is little empirical disagreement left between race naturalists and anti-realists about biological race. The disagreement is now primarily semantic. This would seem to uniquely qualify philosophers to contribute to the biological race debate. However, philosophers of race are reluctant to focus on semantics, largely because of their worries about the ‘flight to reference’. In this paper, I show how philosophers can contribute to the debate without taking the flight to reference. Drawing on the theory of reference literature and the history of meaning change in science, I develop some criteria for dealing with cases where there is uncertainty about reference. I then apply these criteria to the biological race debate. All of the criteria I develop for eliminating putative kinds are met in the case of ‘race’ as understood by twentieth century geneticist Theodosius Dobzhansky and his contemporary proponents, suggesting that we should eliminate it from our biological ontology. 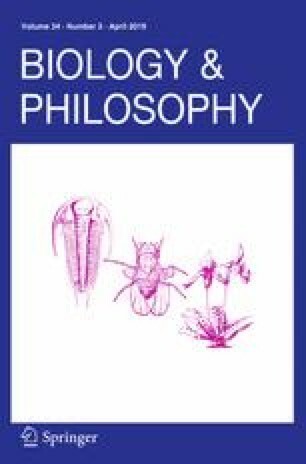 I would like to thank Paul Griffiths, Karola Stotz and other members of the philosophy of biology group at the University of Sydney for their helpful feedback on an earlier version of this paper. I am also grateful to Robert Bernasconi, David Braddon-Mitchell, Frances Olive, Jennifer Mensch, and two anonymous reviewers for their useful comments. This work was funded by a Discovery Early Career Researcher Award (DE190100411).